Being a Marine Education Officer at Ocean Life Education isn’t a job that comes naturally to just anyone. Katie-Anne has been helping us to inspire children and students to care for the environment since 2013 but her passion for environmental education started much earlier in life. Katie grew up in a community-focused family committed to environmental protection and awareness. Her father, Derek Foster, recently won the Sunshine Coast Council Australia Day Award, Environment, for his continued leadership and advocacy work with local community groups. Since Katie can remember, her father has been involved with the Maroochy Wetlands Sanctuary in Bli Bli on the Sunshine Coast. At that time he was a Marine Science teacher at Burnside State High School and subsequently the regional Environmental Education consultant. He designed and was central to the establishment of the Sanctuary and the Bilai Environmental Education Centre located within it. “Dad was always taking me on marine camps, going sailing and canoeing and hanging out down at the Wetlands. Derek later worked for the Department of Primary Industries and the Australian Centre for International Agricultural Research as an Extension Specialist. He took on a role in Asia to coordinate new primary industries ensuring products were suitable for export to Australia and other markets. 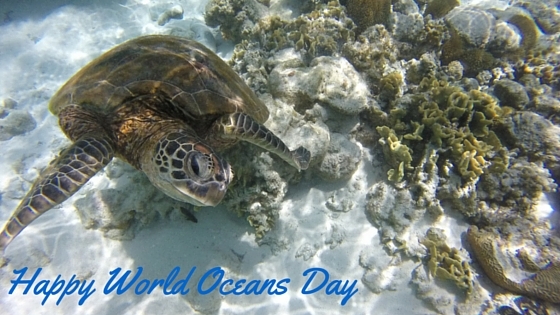 As well as being a mother of two, Katie wears many hats in addition to being an Ocean Life Education Presenter. Following in her father’s footsteps, Katie is the Education Officer for the Maroochy Wetlands Sanctuary. She is also Gardening Coordinator for Bli Bli State School, and has developed her own unique Environmental Music program which she runs during school holidays through the Sunshine Coast Council. 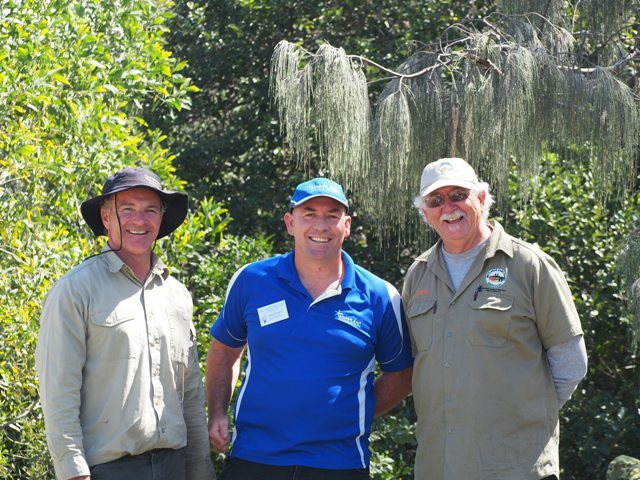 Pictured: Richard (middle) with Derek (right) and Michael Gilles from SCC at the 2014 Kids in Action Environment Day. 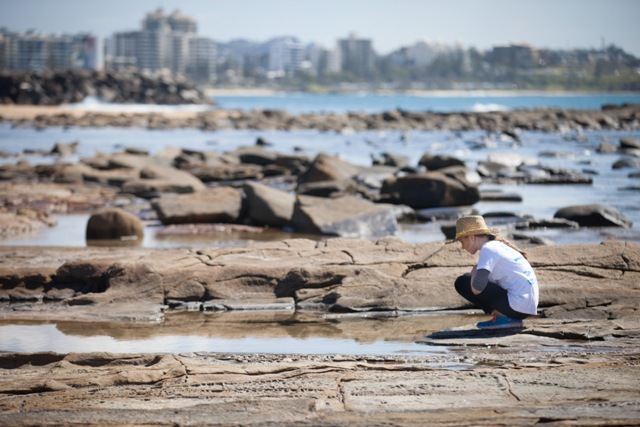 In 2014, Ocean Life Education delivered the Rocky Foreshores activity as part of the Sunshine Coast Kids in Action Environmental Projects Day. Katie’s Dad was also there on behalf of the Maroochy Wetlands Sanctuary delivering the Explore Estuarine Ecosystems activity where he took kids fishing and discussed the importance of mangroves in fish lifecycles as a breeding ground. 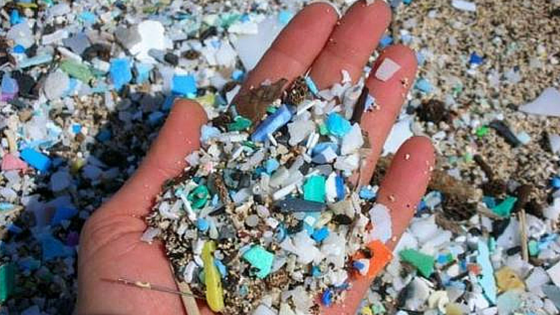 “It’s pretty cool when you can share the same passion for the environment with your Dad. 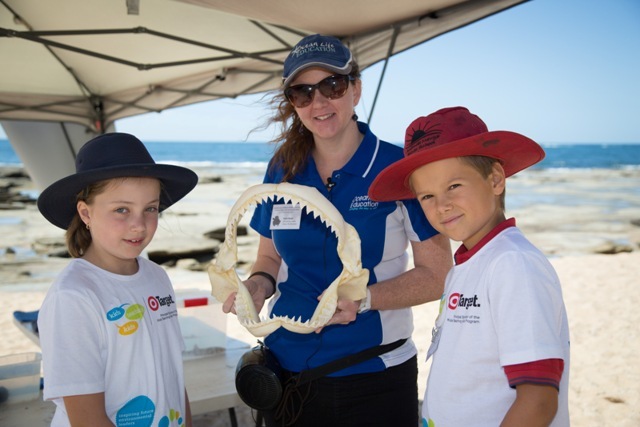 Ocean Life Education will be back with the Kids in Action group again in August this year delivering the Rocky Foreshores program at Point Cartwright and Shelly Beach. For more information about Kids in Action, visit the Sunshine Coast Council’s website. If you have an event you would like us to be involved in, visit our Events Program page. 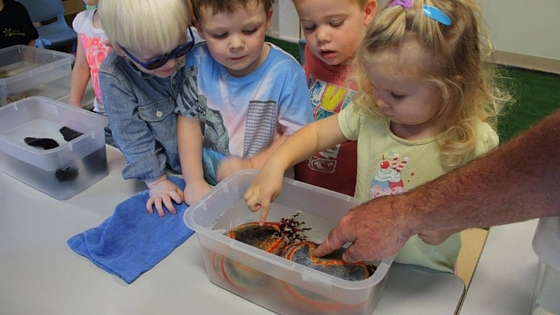 This entry was posted in Events and tagged council programs, katie, kids in action, our educators, special events on February 17, 2015 by oceanlifeeducation.